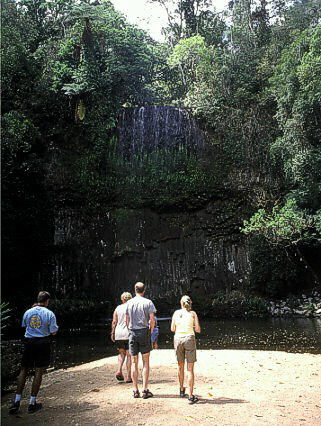 Where you see a naked rock now, are the Millaa Millaa Falls supposed to be. Now, in the middle of a draught, some water was trickeling down, but one couldn't seriously call it a waterfall. Matt: Yes, you'll find the suggested fake here one day, but let me finish the serious content of this website first.